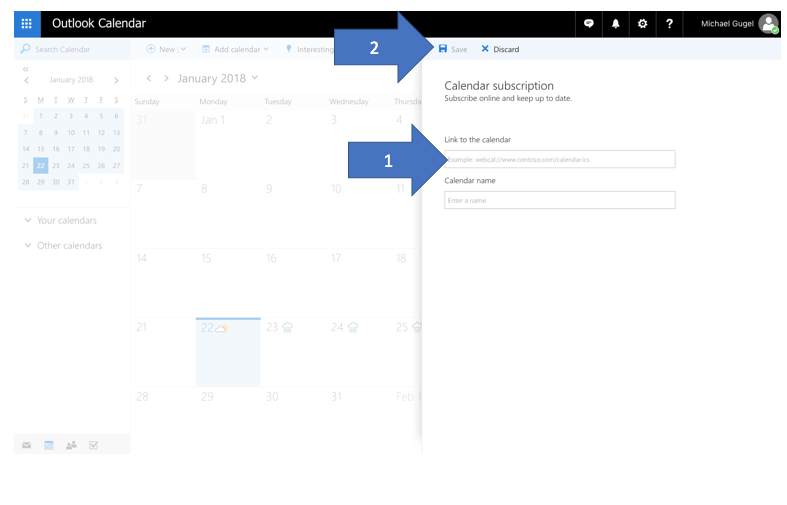 How do I add GoCo calendar events for the web-based version of Outlook? 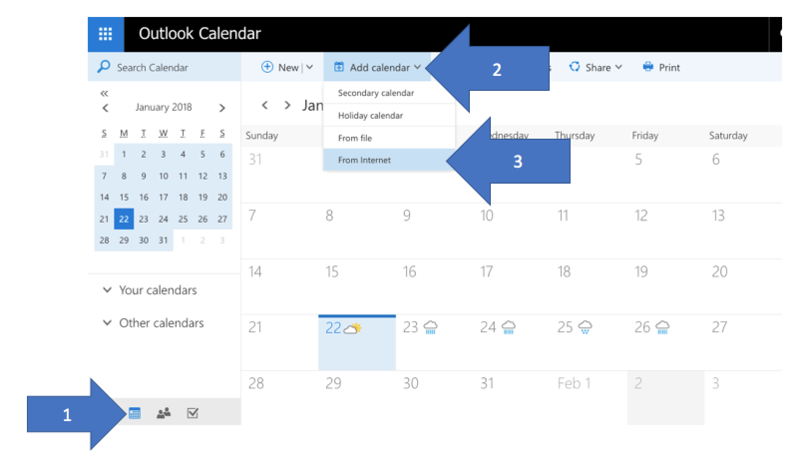 1) Login into Outlook and click the calendar icon in the lower right (arrow 1). Then, click on Add calendars (arrow 2) and select From internet (arrow 3). 2) Login into GoCo. Click Calendar from the left side nav. 3) Click Sync Calendars from the top nav, and optionally, filter to any Locations and Departments. 4) Copy and paste the relevant URL from GoCo into Outlook. Name the calendar whatever you want and click Save.